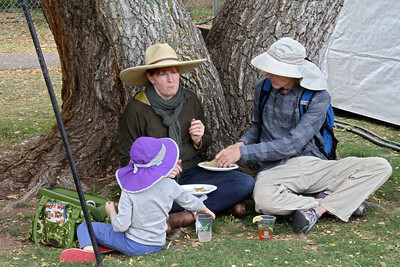 In our New Mexico trip in the Fall of 2015, we timed our visit to Taos so that we could be there for the Taos Wool Festival . 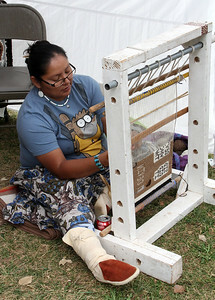 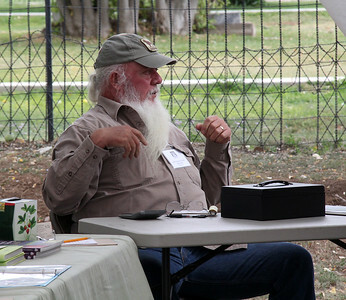 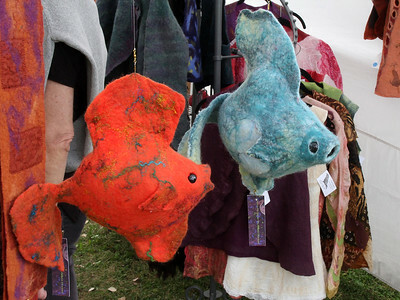 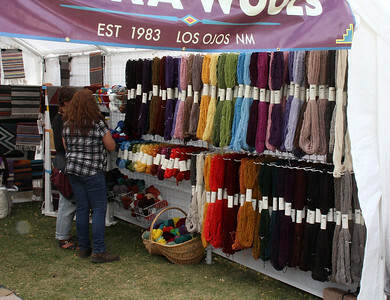 The Taos Wool Festival is a two day weekend event. 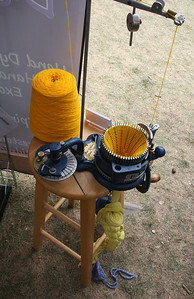 Even the spinning of yarn has yielded somewhat to modern technologies. 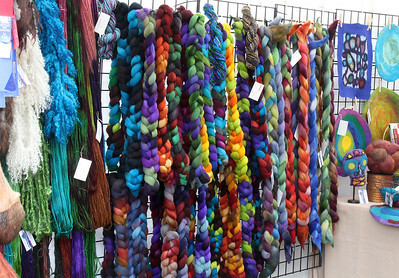 There are a wide variety of products offered, from raw wool for the buyer to spin, to a great variety of yarns, to knitted and felted clothing, hats and other things. 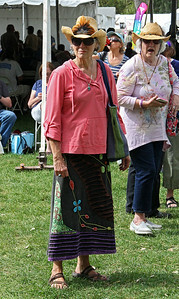 As you will see, a substantial portion of my photos are shots of the people who attended the festival. 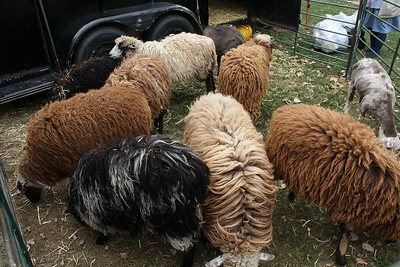 A family outing at the wool festival. 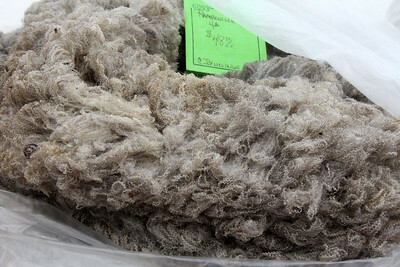 A rabbit, Angora I think, from which wool fiber is carded to make yarn. 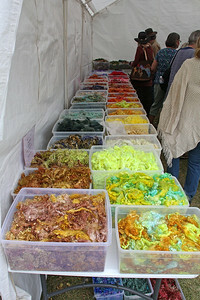 Conversing with a fellow wool enthusiast. 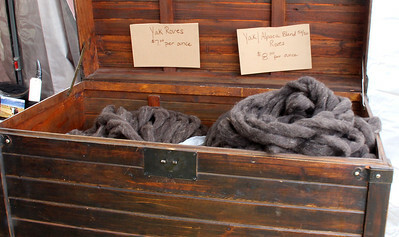 Yak and Alpaca roves. 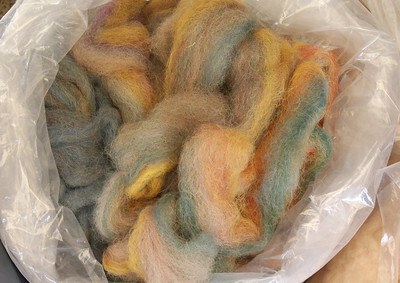 A Rove : "to twist fibers together and draw out into roving before spinning". 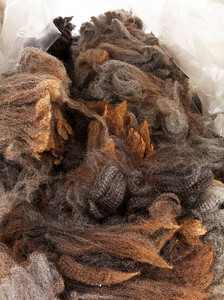 Roving: "A continuous strand of loosely twisted and drawn fibers, such as wool, flax, silk, or cotton, ready to be spun". 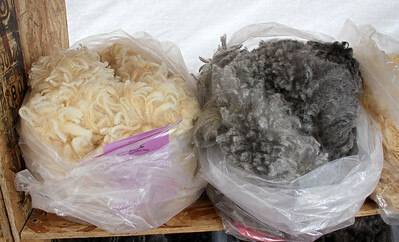 Raw wool for roving and spinning. 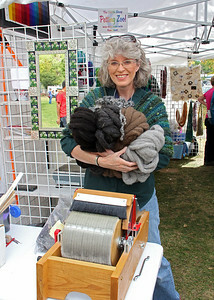 A wooly wool enthusiast ! 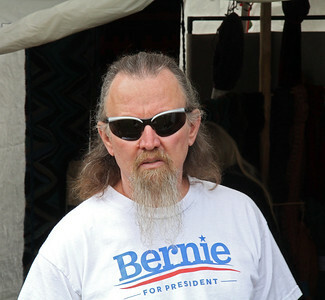 Feeling the Bern at the wool festival. 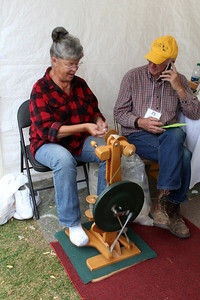 Ancient spinning. 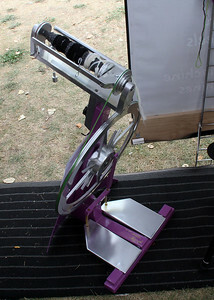 Modern cell phone. 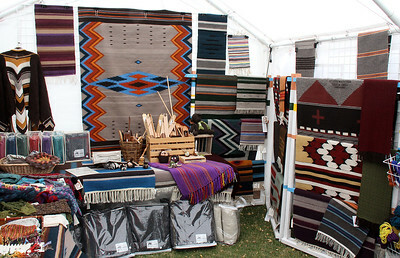 Woven blankets ... we are in New Mexico, remember ! 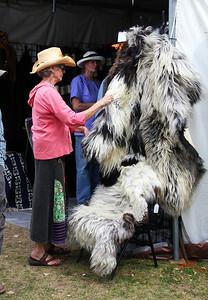 She was modelling this vest for her friends. 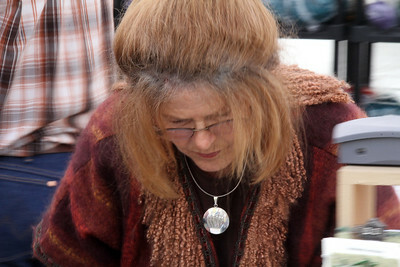 As you will see, she attracted my lens several times during the day. 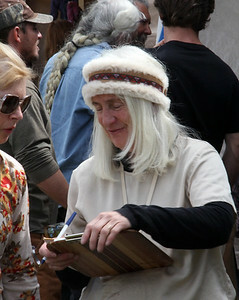 A vendor as a willing portrait subject. 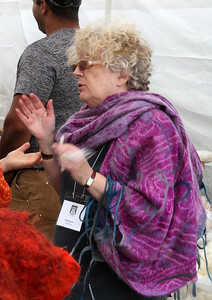 Candid of a wool vendor's helper. 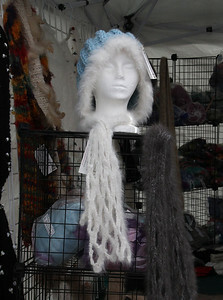 Hat with matching trim and scarf. 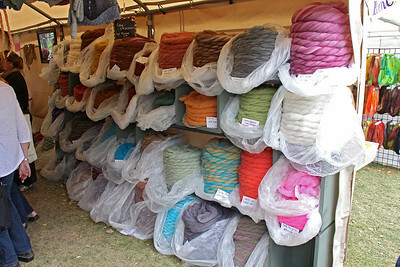 That's a lot of yarn in each rove! 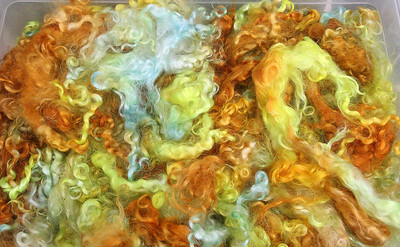 Some of the colors are pretty amazing. 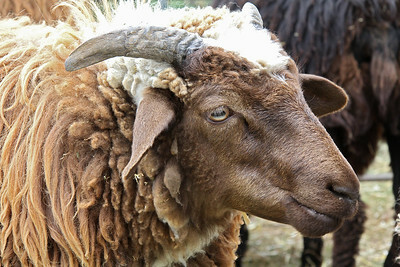 Fresh wool ... still on the hoof. 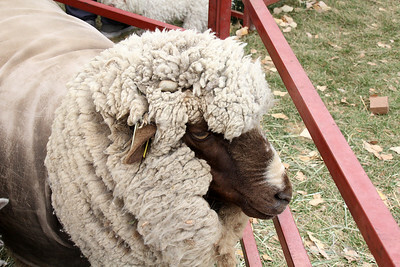 Another hairy festival attendee ! 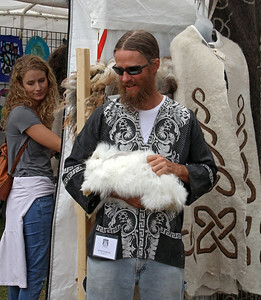 The girl who earlier was modeling the white vest. 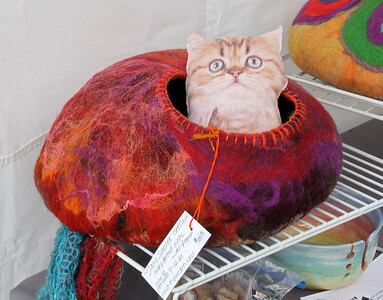 I think the breed of cat is carded for wool. 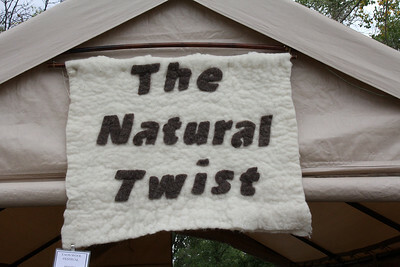 I'm not sure if the sheep were for sale ... this was a festival well attended by people involved in all stages of wool production and use. 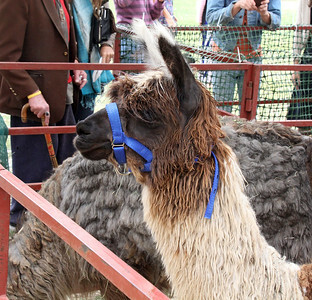 According to Wikipedia, Alpacas look like small Llamas, but are a different species. 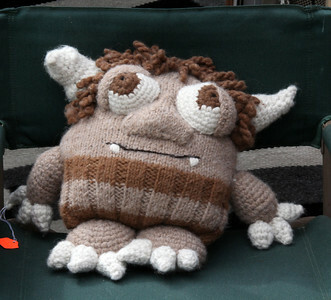 On the prowl for some good yarn. 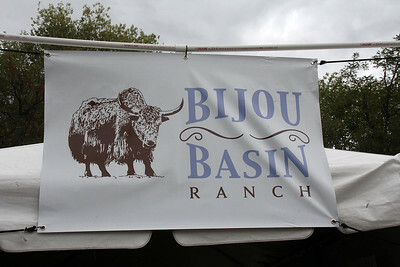 Yes, Bison are here too. 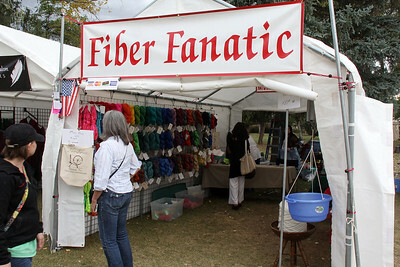 There were plenty of fiber fanatics at the festival. 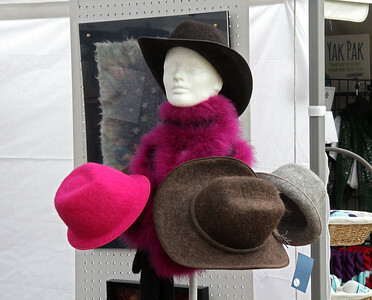 A choice in style and color for felted hats. 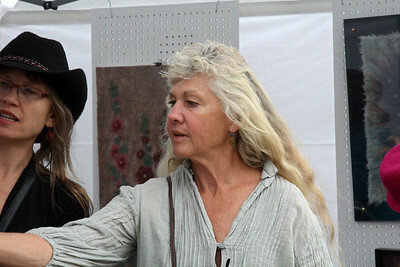 Ooops ... there she is again ! 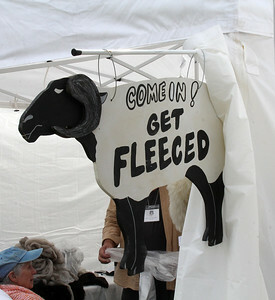 She seemed a little atypical of the typical wool festival attendee, but she was there most of the day. 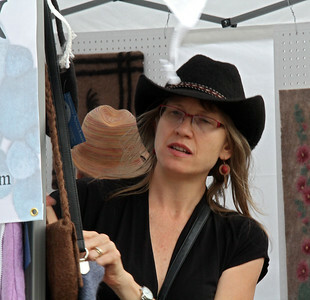 She already has a hat ! 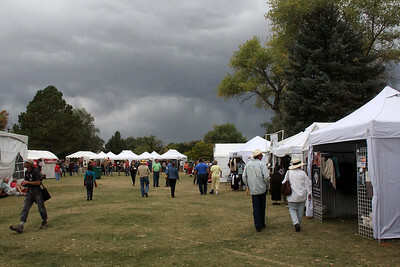 In mid afternoon a thunderstorm came up and pretty much brought the Saturday session of the festival to a halt. 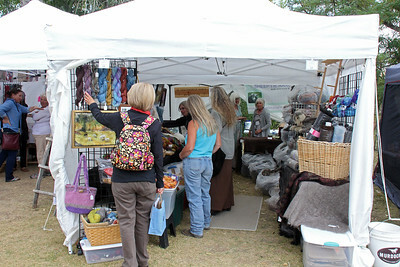 We scurried off and came back on Sunday.